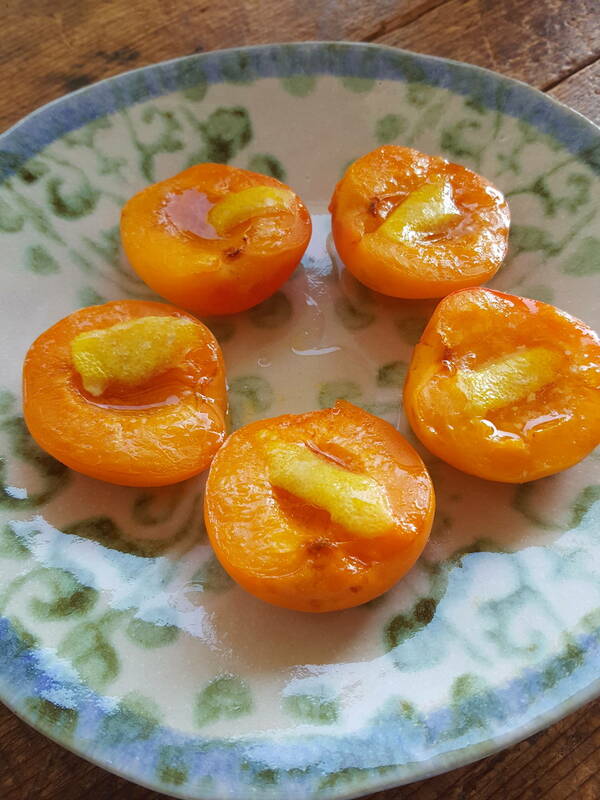 Baked apricots smell and taste of summer: Superb! Simple, sublime, never fails to bring forth 'ohhs and ahhs'. 1 Cut fruit in half through their natural indentations, twist, then pull apart and extract stones. Lay fruit in a shallow baking dish line with baking (parchment) paper, cut side up. Put a small piece of lemon peel in each piece of fruit and sprinkle with brown sugar. Top with a sliver of butter. 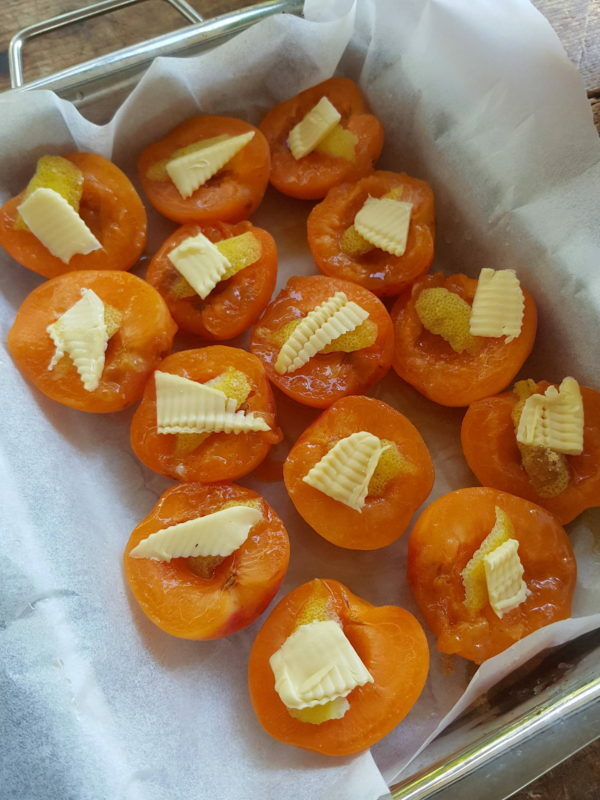 Pour the wine into the tin, but not over the top of the apricots. 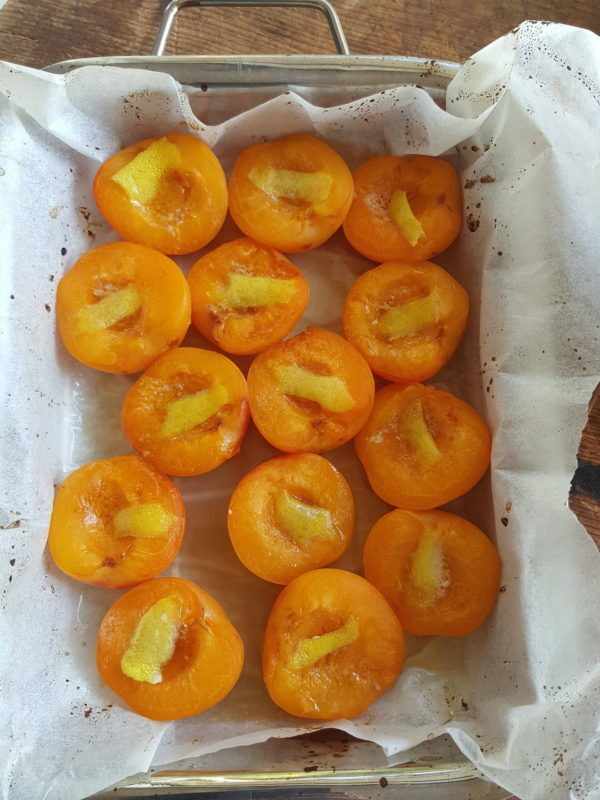 2 Bake apricots for about 15 minutes, or until tender, in an oven preheated to 180°C (350°F). You can get all fancy and give the potatoes a quick toss in the pan, and with a bit of luck they'll all end up back in the pan. Otherwise, follow the 2-second rule, or whistle in the dog.